You can experience iOS 12 WiFi issues both at home and at work. Connecting to one of the many free WiFi networks may also end up in disrupted WiFi calls or slow transfer of data. Here we provide you with a detailed guide on how to deal with iOS 12/12.1 WiFi issues and restore your WiFi functionality. As you know, iOS 12 is out now! As the first enhanced version, iOS 12.1 is available as well. Some of our users report problems of various types, WiFi issues are included. The overwhelming majority of iOS 12 users cite WiFi problems occurring after an iOS update or after updating third-party apps. 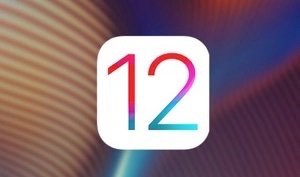 Other users are finding their iOS 12 WiFi is slow after an update or end up with iOS 12 WiFi that turns on by itself after tweaking certain settings. In the below paragraphs, we list the 5 most common iOS 12/12.1 WiFi issues and provide possible solutions to each of the listed WiFi problems. You should be aware that in iOS 12 or iOS 12.1, WiFi and Bluetooth will still be available after you disconnect from WiFi accessories. It is made this way for you to be able to continue using services such as location, Instant Hotspot, Apple Watch and others. 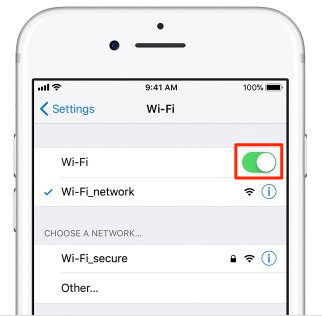 Therefore, you may see that your iOS 12 WiFi turns on by itself after you have disconnected from a network. Follow the below steps to completely turn off WiFi. Step 1 Go to Settings and select WiFi. Step 2Turn off WiFi using the slider. You can see your iOS 12 WiFi calling not working if the network transmits a weak signal or if you have coverage troubles in certain locations. Follow the below steps to check the WiFi availability. Check if your router is connected to the modem and turned on. Check if your router is on and your device is within range. Check that WiFi is on and you see the network. Go to Settings and select WiFi. Check if WiFi is on. Tap on a WiFi network to join. Enter the password, if asked. Restart your router, and cable or DSL modem. Unplug your router or modem, and then plug it back in. Restart your iOS 12 device and check the WiFi network. Step 1 If you have iOS 12 WiFi issues that prevent you from connecting to a WiFi network, you should first check whether your device is detecting a problem. 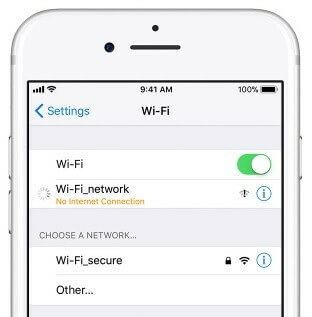 Step 2 When iOS 12 is detecting an issue with a WiFi connection, you will usually see a WiFi recommendation under the name of your WiFi network. Step 3 Tap on the WiFi network to get more information about the issue and act according to the prompt message. Step 4 Restart your device or check if you have WiFi coverage in your area. On some occasions, your iPhone or iPad may experience iOS 12 WiFi issues that prevent you from joining a network. You can usually return to normal operation after you restart the device or reset your network settings. Step 1 Tap to join a WiFi network. Step 2 Enter your WiFi password if asked. Step 3 If the “Unable to join the network” or “incorrect password” warning pop up, please restart the device. Step 4 Try to enter your password again. If the restart does not work, try to reset your network settings. You should be aware that by resetting network settings, you also delete stored Wi-Fi networks and passwords, cellular settings, and VPN and APN settings. Backup any settings before the reset. Step 1 Go to Settings and select General. Step 2 Select Reset and tap on Reset Network Settings. Step 3 Enter your password if required and confirm the reset. 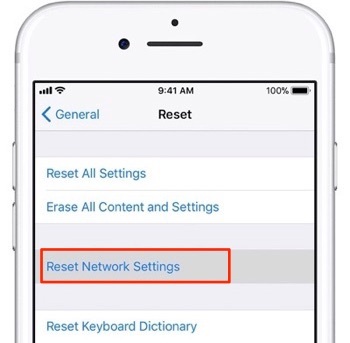 If you see your iOS 12 WiFi is slow you can first try restarting your device and reconnecting to the network. Any of the above fixes may also help you establish a faster WiFi connection. Try to place any of these devices and items as far as possible to avoid the interference with your iOS 12 WiFi connection. That’s all for the possible fixes for the iOS 12/12.1 WiFi issues. Hope your problems will be resolved. And if you find any other useful tricks to the issue, welcome to write them down in the comments below to let more users know.